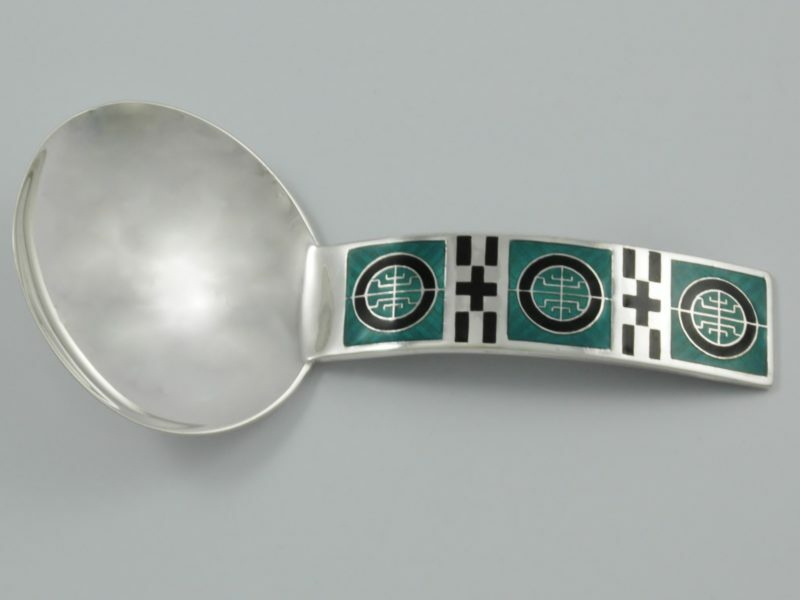 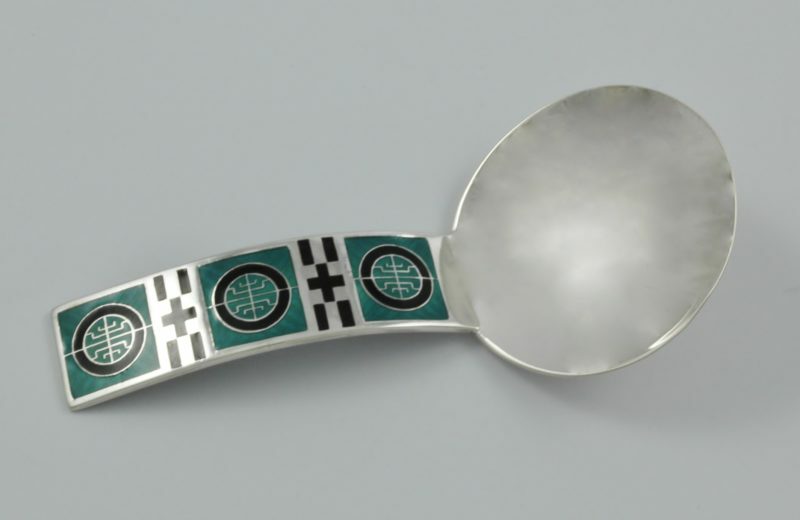 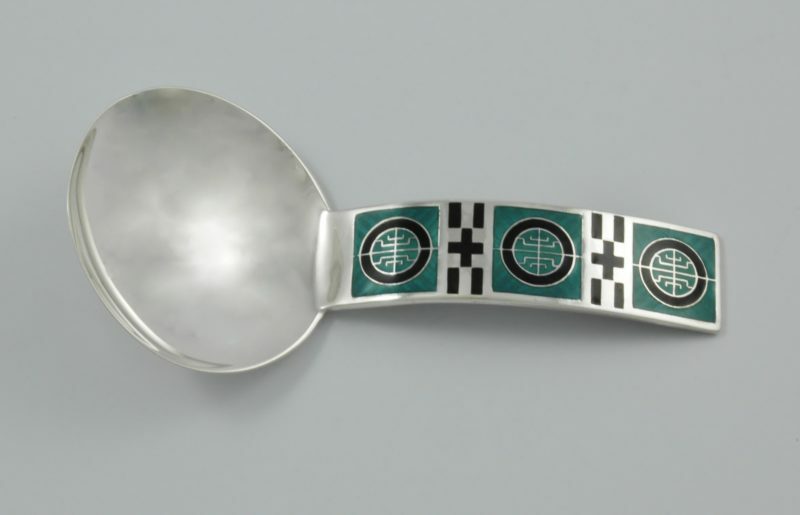 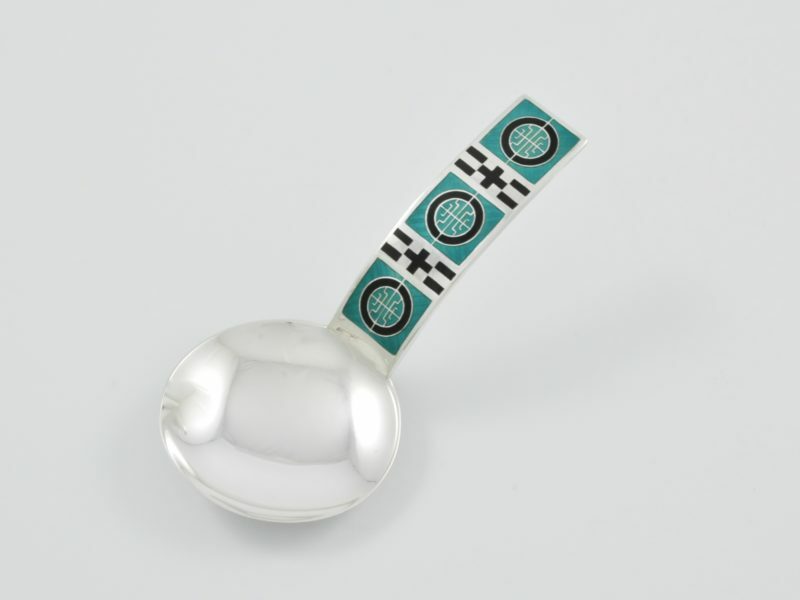 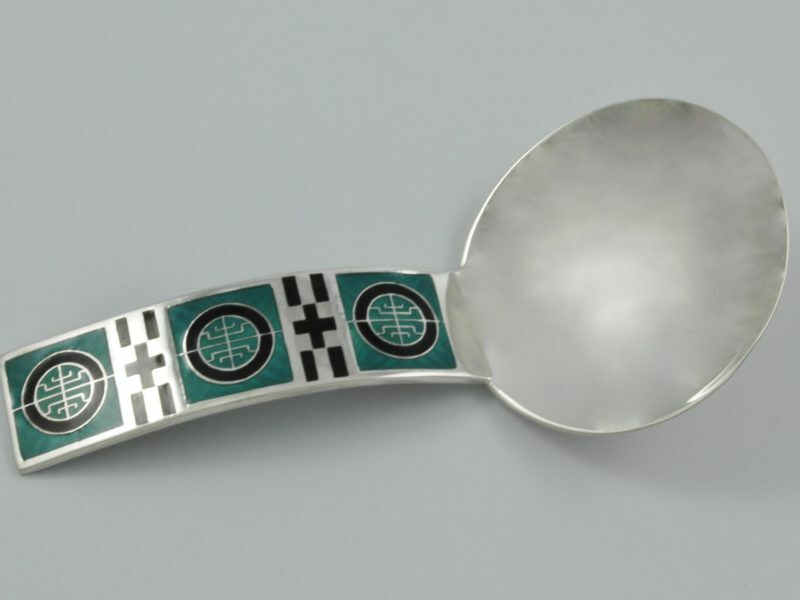 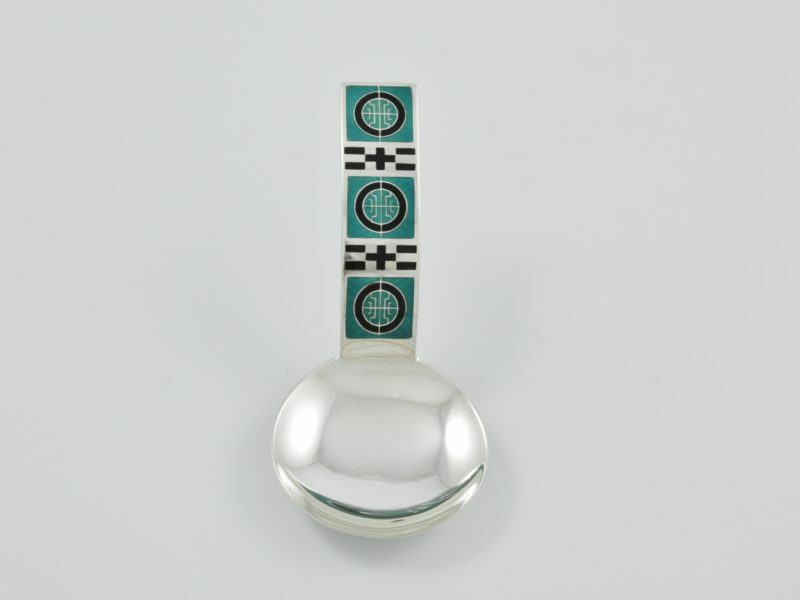 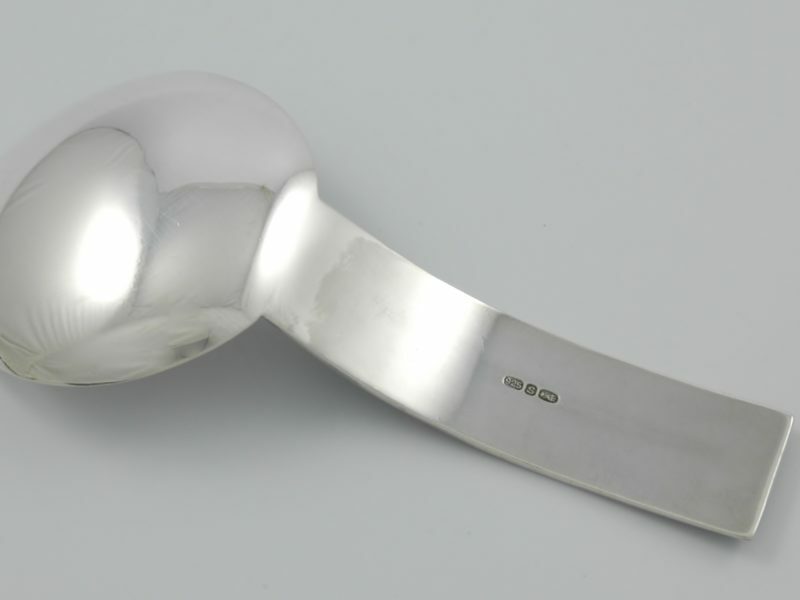 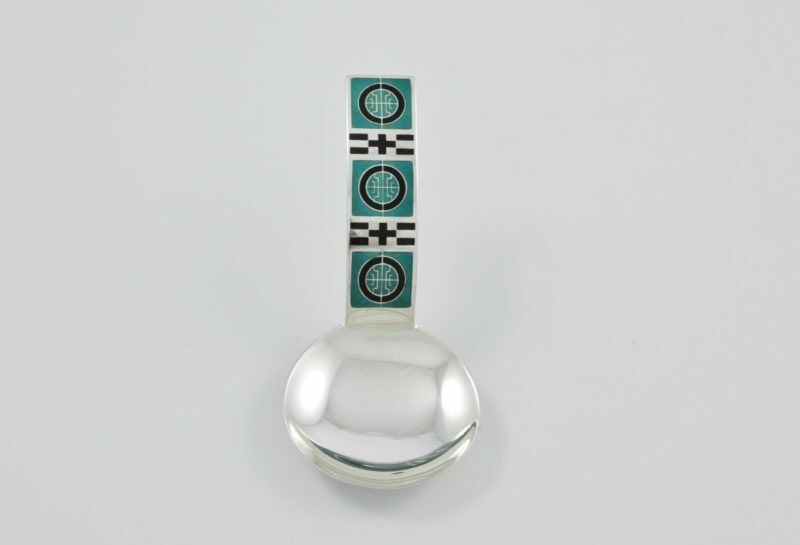 Norwegian ‘925’ silver and enamel caddy spoon by David-Anderson with marks for 1880-1925. 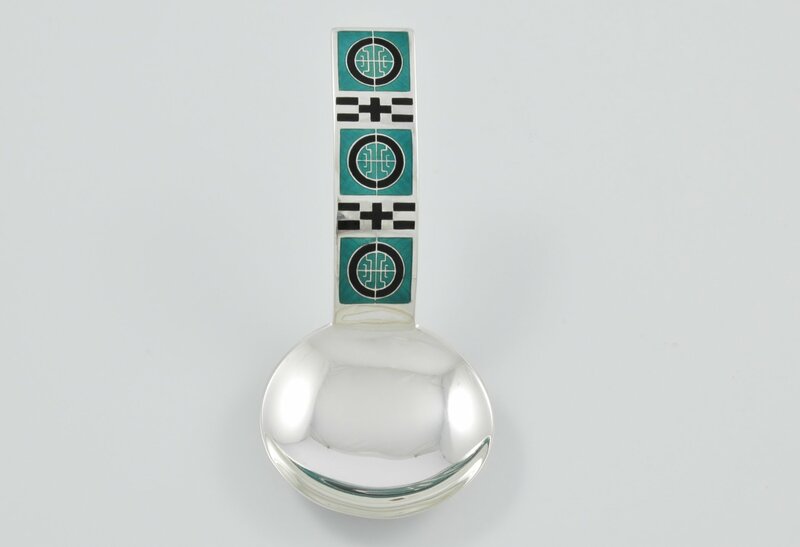 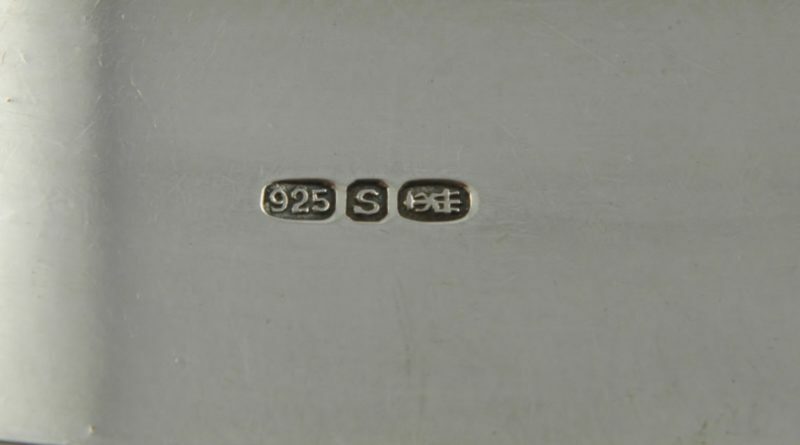 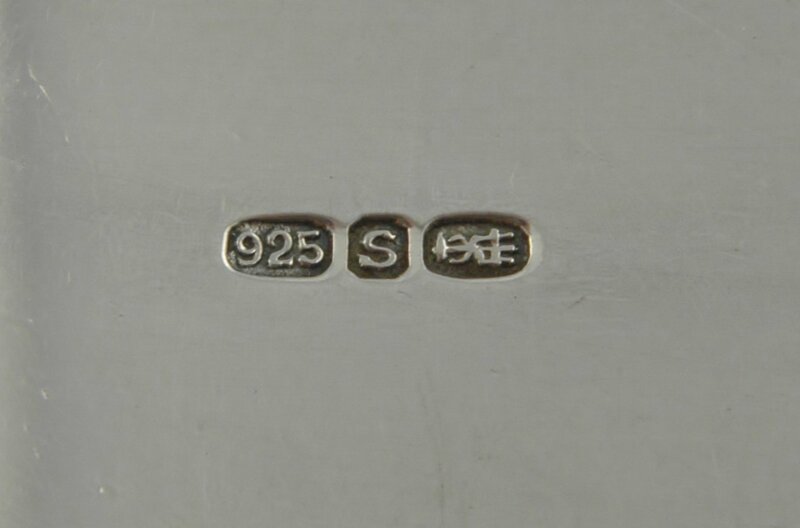 Arthur Anderson who took over after his father’s death in 1901 introduced the use of enamelling for which the firm is renowned today. 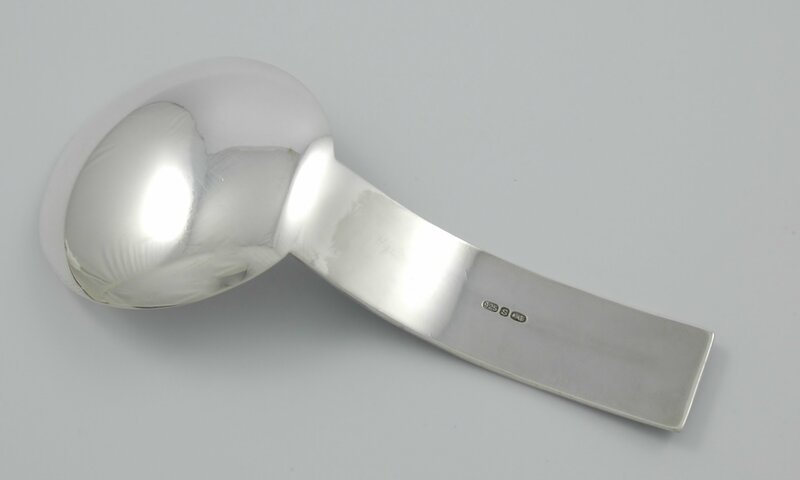 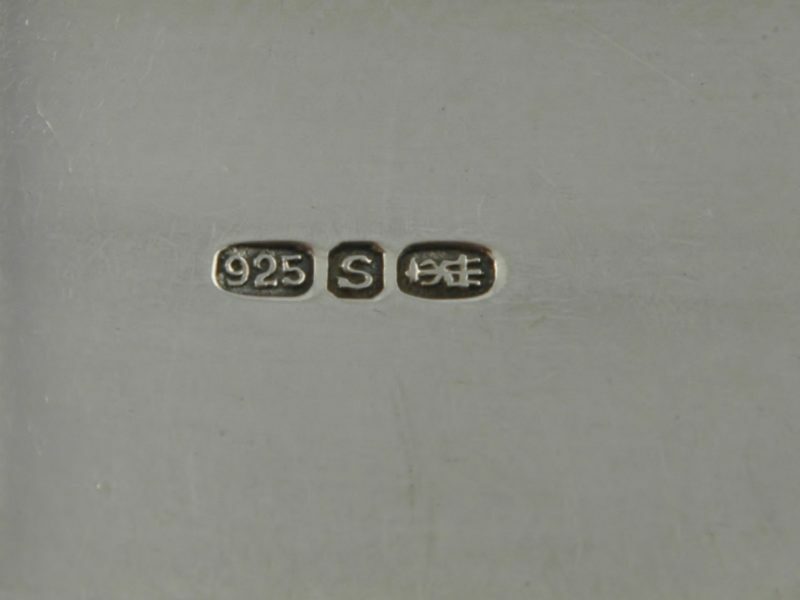 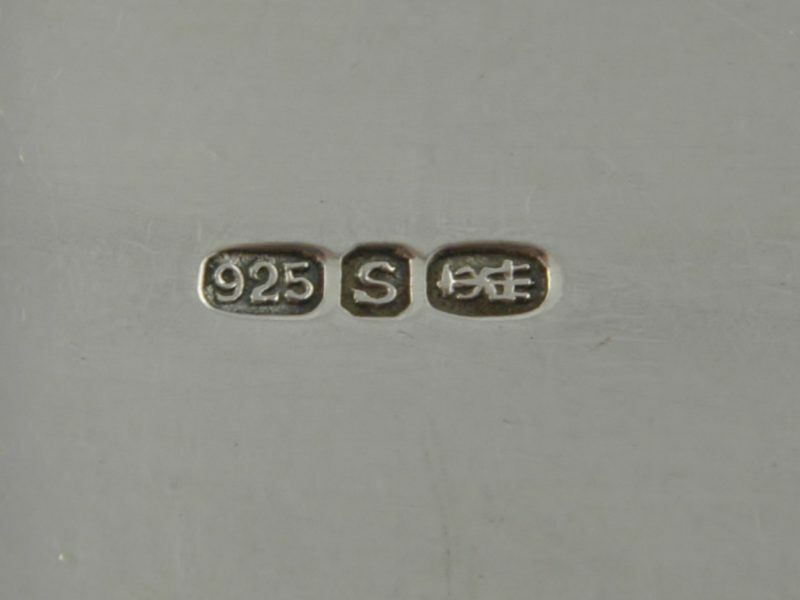 Dimensions: 10.2 cm long by 4.6 cm bowl diameter.